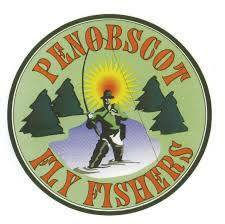 The Gray Ghost Award - presented to that individual who has clearly contributed to Penobscot Fly Fishers mission - promote fly fishing and conservation through education, volunteer services and personal conduct. The award is not an annual award but recognizes those individuals on a case by case basis that go above and beyond the call of duty to contribute to the fly fishing and conservation community. 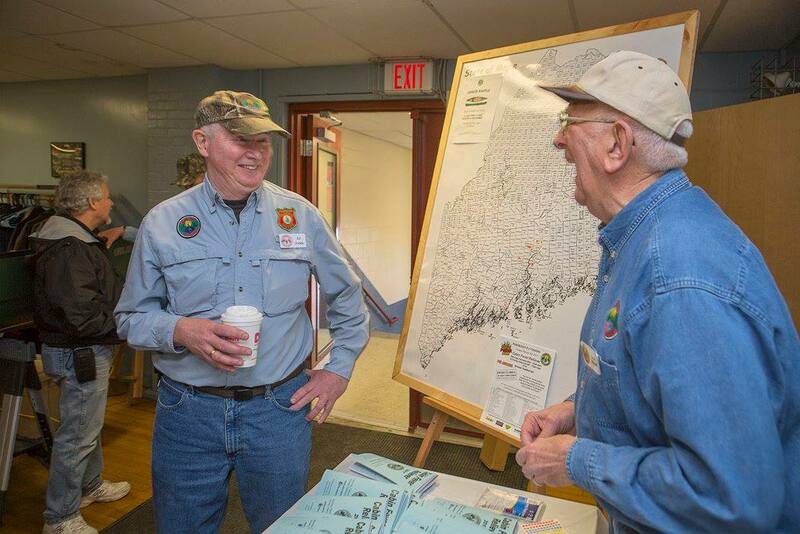 The Gray Ghost award is presented to Ed Dailide March, 2018 for longstanding dedication and commitment to the Penobscot Fly Fishers. Active in the club for over ten years, he has served in almost every club leadership position culminating in his four years as club president. He is flanked by previous award winners Hank Metcalf, Al Gray, Rob Dunnett and Don Corey. ​Congrats Ed! Very well deserved! The 2016 Gray Ghost Award was awarded to long time member Rob Dunnett. Rob personifies what the Gray Ghost award is all about. Rob has been an active member of the club since day one. 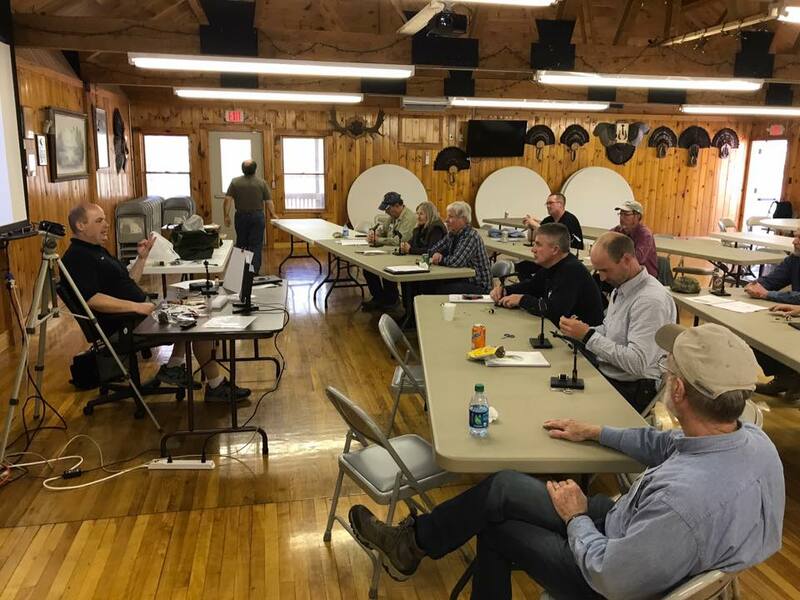 He has been heavily involved in almost every fly tying program of the club (now serving as the chair of the fly tying committee) and has held positions as both officer and board member. He currently serves as the Vice President, and is a key player in our annual Cabin Fever Reliever. He is such an integral part of the club he was the only person the Gray Ghost Committee nominated that year. Congratulations Rob on your selection as the 2016 Gray Ghost Award Winner. Richly deserved!